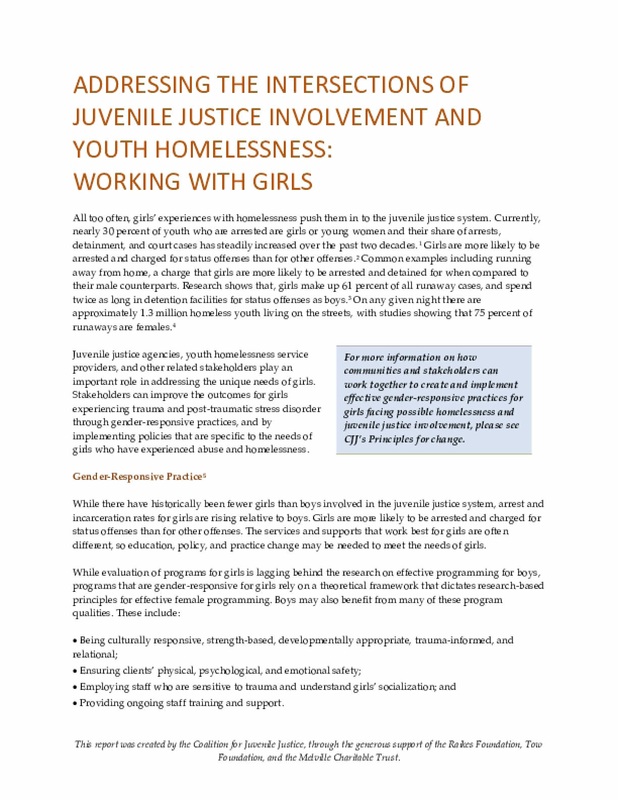 Juvenile justice agencies, youth homelessness service providers, and other related stakeholders play an important role in addressing the unique needs of girls. Stakeholders can improve the outcomes for girls experiencing trauma and post-traumatic stress disorder through gender-responsive practices, and by implementing policies that are specific to the needs of girls who have experienced abuse and homelessness. Copyright 2017 by Coalition for Juvenile Justice. All rights reserved.